UAN helpdesk by epfo: uan helpdesk portal launched in 2017 but due to some most common requests epfo categorized those, most of them solved by the employee himself at uan member portal. some issues need the attention of the employer and epfo field officer. However, If you have any New issue that not categorized below, please do comment below. Now employees themselves correct these details at uan helpdesk portal 2.0 I mean regular member Portal itself. After, login to the UAn Portal, click on profile and edit contact details like Mobile number, email, date of birth etc. How to change Mobile Number in Epfo UAN Portal? You will see the Existing Email and Mobile Number. Click on change Mobile Number, Enter New Mobile Number 2 times, and click on get Authorize PIN. Enter OTP which is received to New Mobile Number and click on Update. Change mobile Number without Login UAN? you will see existing Mobile Number details which is registered with epfo. Click on change Mobile Number. enter your New Mobile Number and confirm it by OTP to new mobile Number. The above information provided is not matching with the information available in the system. Kindly contact EPFO Office. 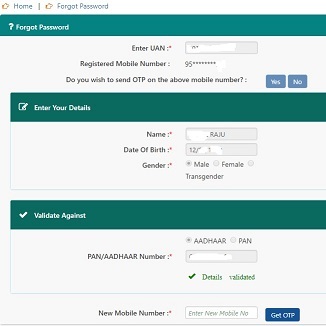 Enter Your PAN/ Aadhaar to verify, and enter your Mobile Number. How change password uan Password? if you able to log in the UAN Portal, Then on uan Portal members area. then Repeat New password 2 times, and click on Update. That’s all you can update your password without contacting the epfo helpdesk. There are no of The Employees are Searching for The UAN Helpdesk Toll-Free Number, Some contact details are given below that is Customer care Helpline Number, Contact Number, Support Number these are Available given below. Bhikaiji Cama Place, New Delhi – 110 066, India. Employees have an option to approach the employer with relevant documents. The Employer also Forward your Request to EPFO Field Officer. Then Verifying Your Request and Supporting documents, EPFO Get your Details and Correct the Data Base. Problems faced by the new employee in linking their UAN number. We can Available for The Monday to Friday from the 09:15 to 5:45 on phone. The government has come up with EPFO help desk to help others with their issues like Uan Password reset, mobile number change, updating KYC, problems in checking the balance of transfer and claim status. EPFO Help Desk Customer Care No. EPFO Help Desk even brings forward online facilities where you can simply visit the website and let them know about your issues. However, this process includes a huge amount of time as the executives can take between 1 week and 3 months to meet up with your issues. When you want to know your UAN number. When you want to rectify your personal details. Problems relating to UAN Passbook. When you fail to receive an SMS while UAN activation. 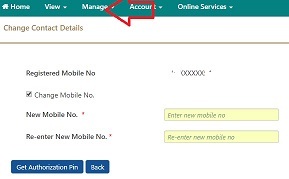 How to access UAN account after changing mobile number? Enter your name and date of Birth, and click On verify. Enter your PAN or Aadhaar Number. and enter Your Mobile Number. Hi team, is there any times where UAN helpdesk link is accessible for raising concerns? as am trying this link now in the night, but it shows as non-reachable. I need to update the mobile number, as I have forgotten the password and unable to login. you can do it by without contacting the epfo customer care. uan portal>>forgot password>> send otp to old NO>>enter your pf details>> verify>> and enter new mobile number. I wanted to see my EPF balance but they ask to update aadhar no. when I put my aadhar no in the same the error message come saying your aadhar dob is not match. update DOB at aadhaar center offline. no online works except the address.